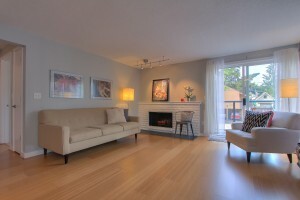 Located in the heart of Ballard, with a Walk Score of 96, this sunny corner unit has style and class. Everything you have been wanting is here: Two very good sized bedrooms with ample closets, a living room that features a wood-burning fireplace. It features an open kitchen with stainless appliances, granite counters, easy care bamboo flooring and sliders opening to your private deck. 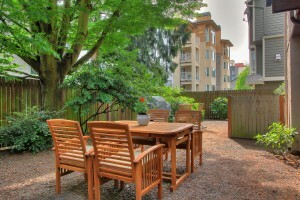 Enjoy BBQ & garden in the backyard and tandem parking for two cars. 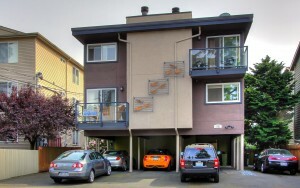 With secure storage on the main floor and maintained in excellent condition, you are a short stroll to the heart of Ballard – shops, restaurants and cafes.